Today on June 26, 2018, Amazon expands delivery service of natural and across fresh organic products from Whole Foods through Prime Now in more regions like Chicago, Houston, San Antonio, Minneapolis, Indianapolis and more. Customers can use Amazon Prime Now app for shopping from Whole Foods Market. Today on June. 12, 2018, Amazon announces the free two-hour delivery from their Whole Foods Market through Prime Now in 14 cities now available. Customers with Amazon Prime membership in those cities can shop locally-sourced natural and organic products through Amazon Prime Now. Customers as well to start shopping high-quality products from Amazon Whole Foods Market at the Prime Now website or by using the app of Amazon Prime Now available download on Android and iOS devices. In addition to the promo codes on available, Amazon Prime Now offers tens of thousands of household items, every day essentials, and local restaurant orders. 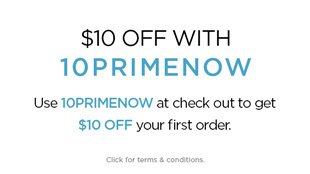 For most Prime Now orders, customer can schedule a delivery time from early morning to late evening 7 days a week, on service of free 2-hour delivery or 1-hour delivery for an additional charge of $7.99, but a restaurant delivery promo code ‘EATNOW10’ to save extra $10. 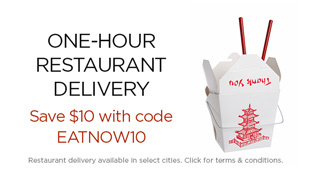 Quick, 1-hour delivery from Amazon Restaurants now. 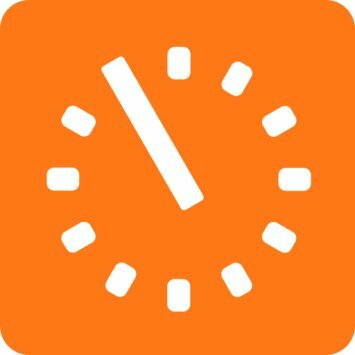 Quick another, we talk about what’s the hardest thing for a busy person to do in their day? Almost everyone I’ve asked says “finding more time to do the things I love”. Working parents, especially, know how little chores can eat away at your whole day. I mean, let’s go through all the steps needed to get to the grocery store on your day off, with two kids. Find and put on 3 pairs of shoes, herd everyone out to the car, buckle 3 seat belts, explain calmly that you will only get what is on the list, drive to the store, find a parking space, get a cart, get a different cart because the first one wasn’t the kind the kids like, and start walking through the doors. That’s just getting to the store! What about inside the store? The checkout lines? The price checks? The inevitable whining about candy while you wait for the person in front of you to finish their life story? Shouldn’t there be an easier way? Here’s another scenario – the flu has struck. Your head is pounding, the kids are moaning, your spouse looks like they’re auditioning as a Walking Dead extra. You need comfort foods, chicken soup, milk, and fresh fruits and veggies, but leaving the house sounds like marching into Death Valley. You grab the laptop, head to Amazon Prime Now, and schedule your 2 hour delivery. Within hours, your groceries have arrived, and everything is on it’s way to being OK again. One more scene – you’re a city dweller, and a while ago you decided that having a car in the city was ridiculous. Paying and finding for parking, insurance, registration, and traffic no longer made sense, so you sold it and bought a transit pass and a bike. But the fact is the closer stores don’t carry the brands you want, and hauling groceries from the big stores on the subway or your bike takes more oomph than you can muster every day. For those big stock-up runs, just head to Prime Now and let THEM do the hauling for you, and pat yourself on the back that you’re not living on restaurant take-out!